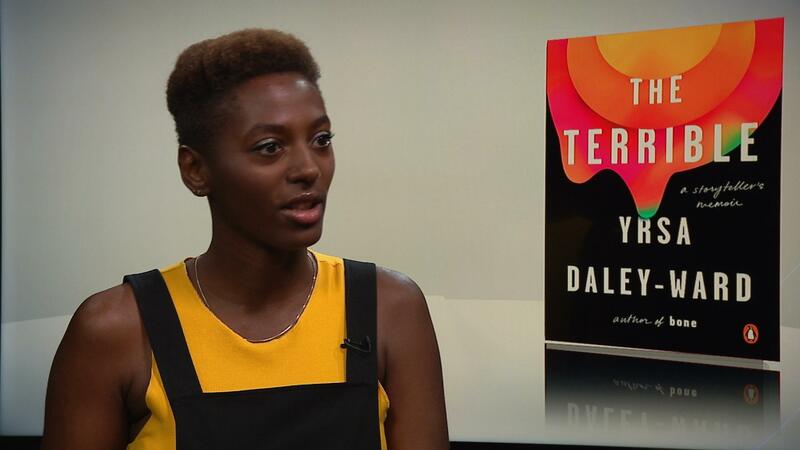 Yrsa Daley-Ward on raw Instagram poetry and her new memoir, "The Terrible"
Yrsa Daley-Ward is part of a new wave of poets. She shares her poetry with over 130,000 followers on Instagram, a social media landscape that more commonly showcases carefully curated versions of young users' lives. Her words, raw and honest, stand in stark contrast. "I talk about universal things," said Daley-Ward. "Love, loss, grief, you know, self-esteem, relationships, and just anything that people go through, anything that I've been through... because there are no new emotions in the world." That universality stands out in Daley-Ward's newly-released memoir, "The Terrible." She takes readers through her childhood in England and coming of age in a tumultuous world of self-doubt, discord and a yearning for togetherness. She weaves these themes through her experiences discovering her own sexuality, racial identity, and struggles with mental health. "'The terrible' is the thing that's running alongside your life," she explains. "It can be anything — grief, despair, loneliness, anxiety, depression, addiction. I think everybody has their own version of their terrible." That message strikes a chord at a time when suicide rates are rising in nearly every state and mental health disorders go widely underreported. Many are calling for more open dialogue around mental health to destigmatize it and help people feel less alone. Although it may seem incongruous at first, Instagram seems to be a perfect place to do that. Of her work on the platform, Daley-Ward says, "I think that's probably why it works. Maybe you're looking at Instagram, you've been looking on there all day, seeing people's perfect haircuts, and then you see something that means something to you or something that you're going through." Other "Insta-poets" such as Rupi Kaur have also tapped into the powerful simplicity of displaying poetry on the platform. The form has taken off as more young users turn to Instagram over other social media sites, including its owner, Facebook. Accessibility to the issues and struggles of others is key to the process, which is why Daley-Ward often lets her Instagram followers inside her writing process. She scrolls through poems in progress, jots down thoughts on the Internet like a personal notebook, and shares videos of her readings. By letting people in, she hopes she gives them a sense of hope.